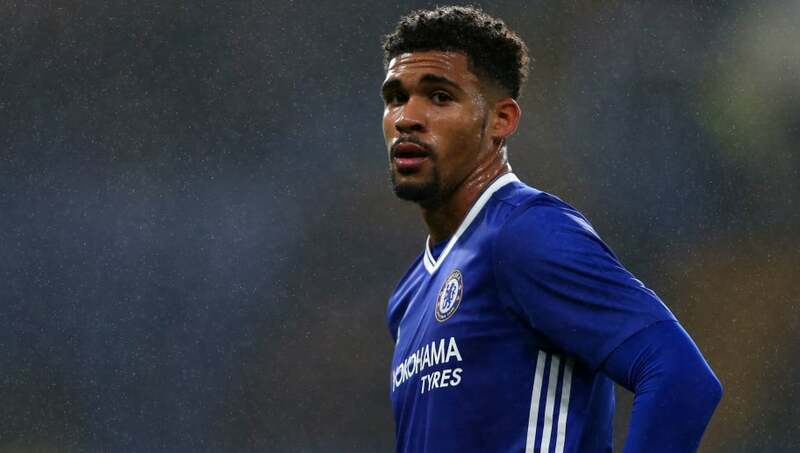 Chelsea midfielder Ruben Loftus-Cheek is furious with his employers after the west London club blocked loan offers for the youngster from AS Monaco and Schalke 04 this summer, according to reports. It was claimed on Sunday that the 22-year-old was a target for former Ligue 1 champions Monaco, with Loftus-Cheek being shortlisted at the Stade Louis II after being told he would have to wait for first team minutes this season. German side Schalke were also interested in bringing the versatile England international in on a season-long loan, but instead the Royal Blues were made to commit to a deal for Bayern Munich's out of favour midfielder Sebastian Rudy. Loftus-Cheek's anger towards the Chelsea hierarchy is twofold, according to the Sun. On the one hand, the former Crystal Palace loanee is disappointed as he will not feature on a regular basis in the Premier League this season. The midfielder is also believed to have concerns that a lack of game time at Stamford Bridge could see his place in Gareth Southgate's England squad come under scrutiny ahead of their upcoming Nations League matches against Spain and Switzerland. Loftus-Cheek already has 47 ​Premier League appearances to his name during his short career, although 24 of those came last season during a loan spell with London rivals Crystal Palace. Despite making his Chelsea debut four years ago, Loftus-Cheek has only ever gone on to make 33 appearances for the club's first team, and his last senior goal for the Blues came back in April 2016.